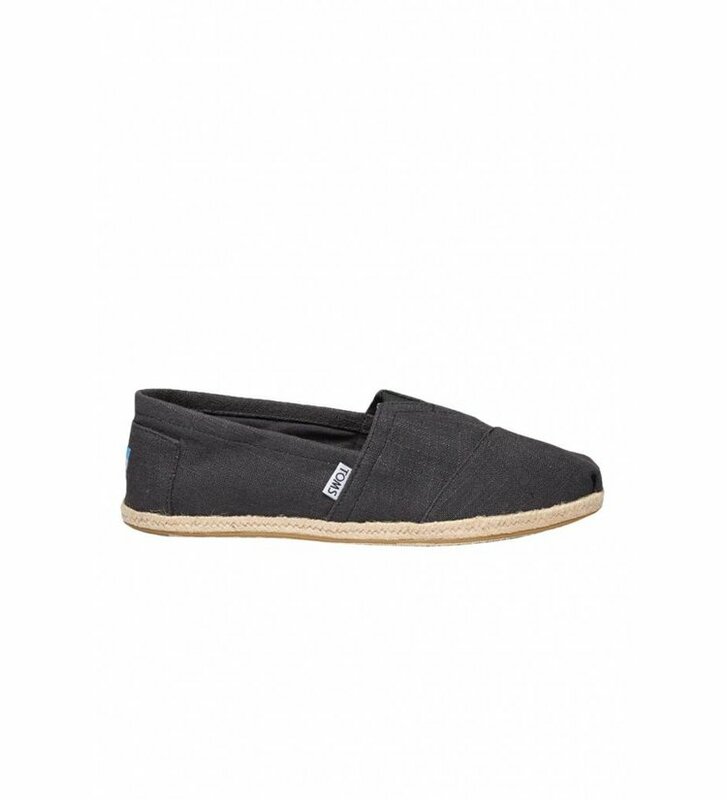 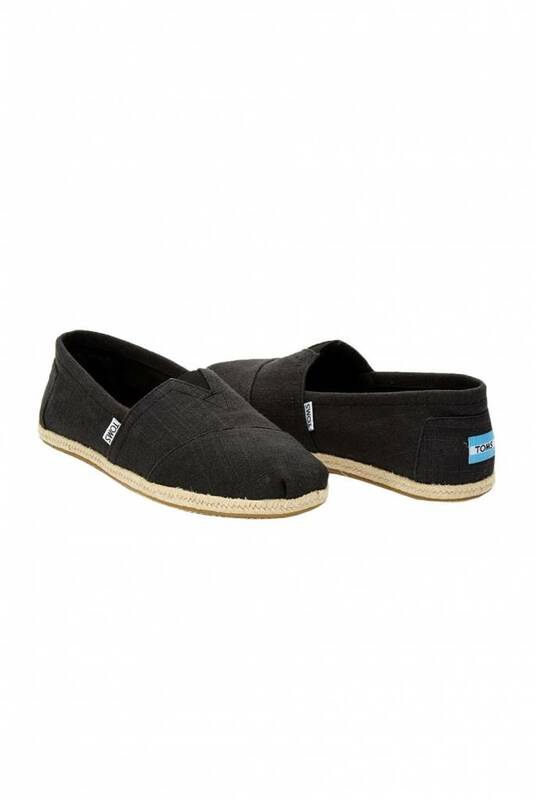 Canvas shoe Seasonal Classics in Washed Black from the concious brand Toms. 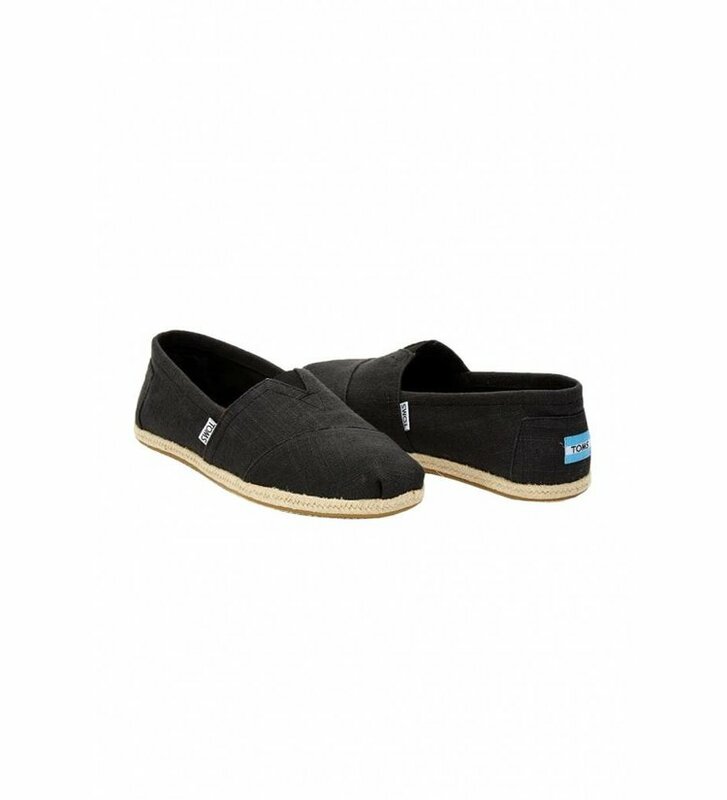 The Classic is the iconic shoe which made Toms the well-known brand it is today. 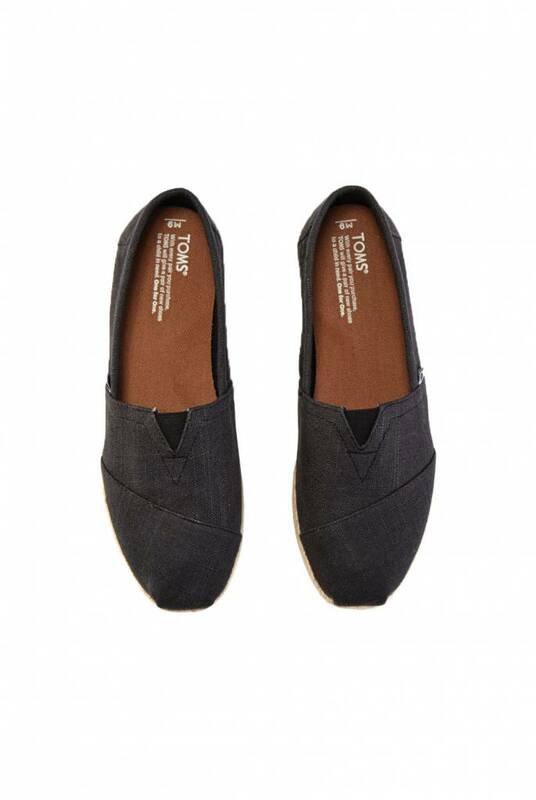 The shoe is a loafer with a flat heel, a removable inner sole and an elasticized insert at the arch. 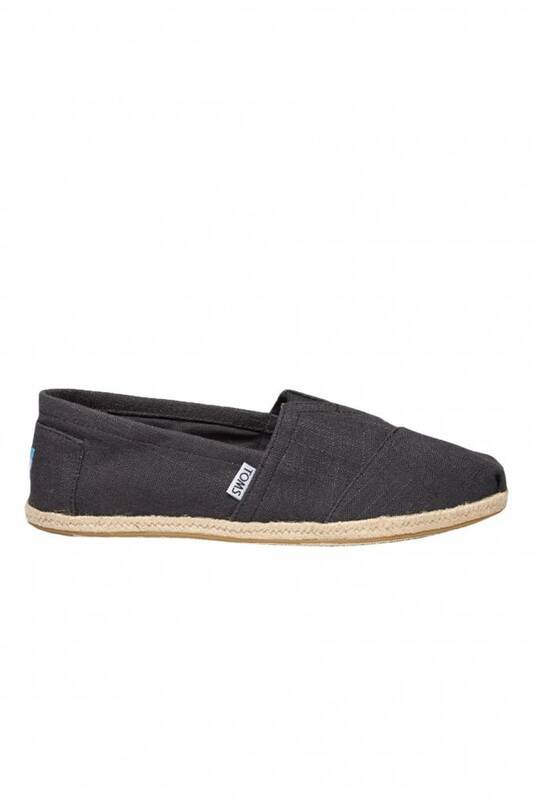 The Seasonal Classics is beautifully finished with a braided, rope trimming along the sole. 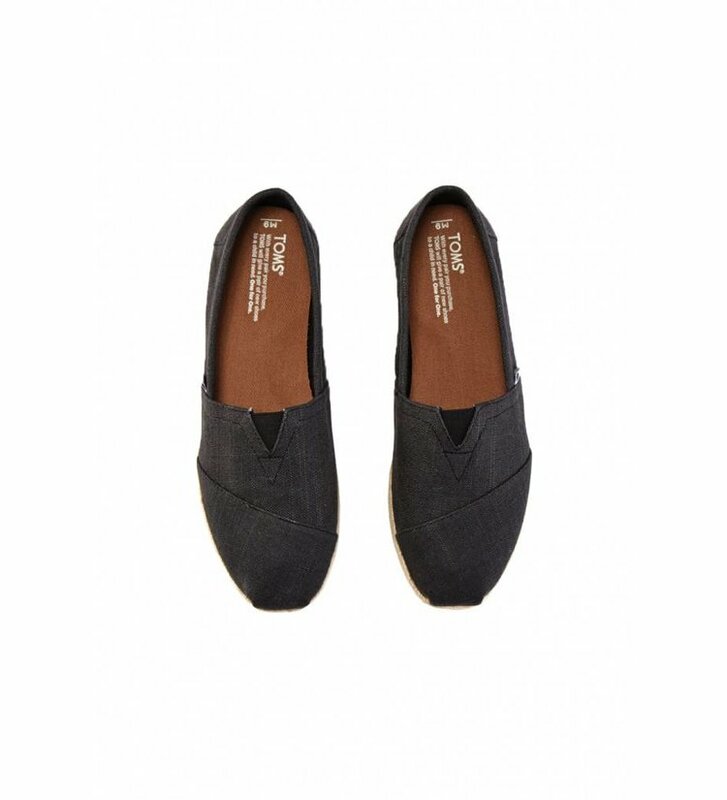 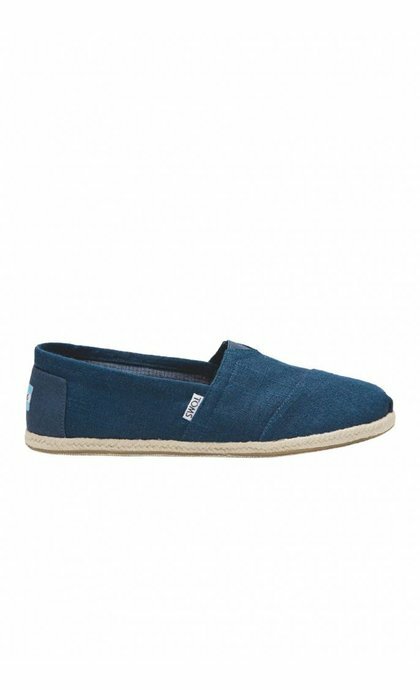 While purchasing a pair of Toms, you donate a pair of shoes to a child in Third World countries.